At AGT, we consider ourselves privileged to be able to serve Australian farmers and the world’s population by developing new field crop varieties that are more productive, better quality and/or cost less to grow. This is what drives our people. We want to see Australian farmers more prosperous, and the global population to be well nourished. We have had some success over the years, and are now the leading provider of wheat varieties in Australia. We are also working hard at achieving the same for our other crops, barley, durum and lupins. 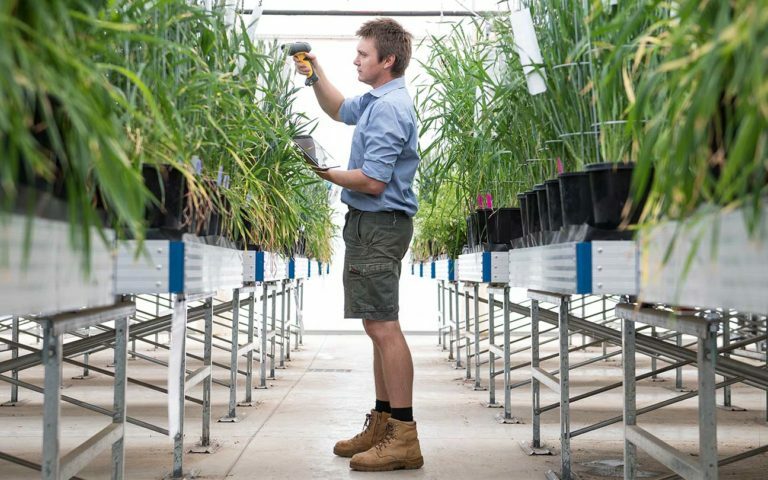 As a plant breeding research company, we get excited by new technology, innovation and scientific breakthroughs. Our talented and dedicated team use new mechanical solutions, robotics, computer science, GPS, tissue culture, and the latest biological and genetic theory on a daily basis. We are excited to see scientific concepts transformed into real solutions that deliver value to Australian grain growers.